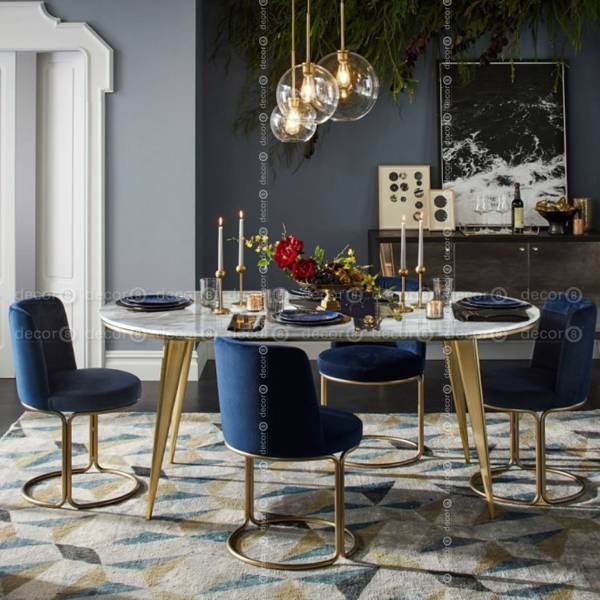 The Lana Marble Dining Table is a stylish marble dining table with modern design and fine details. 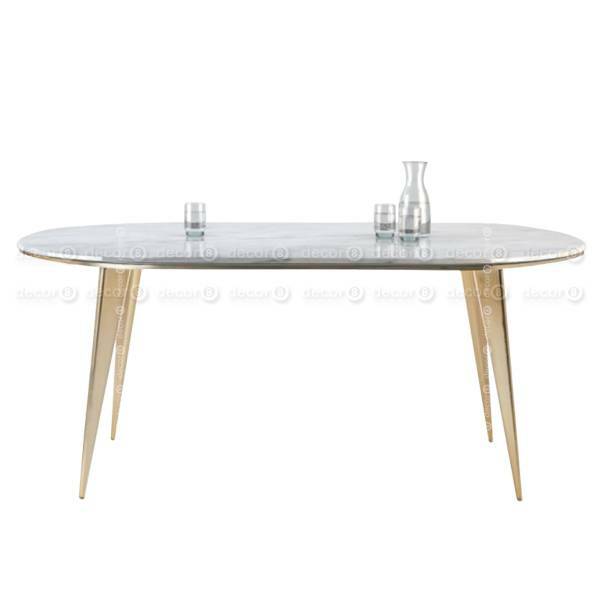 This modern dining table and meeting table is the perfect statement for any luxury interior. This marble dining table table oozes class in every possible manner. 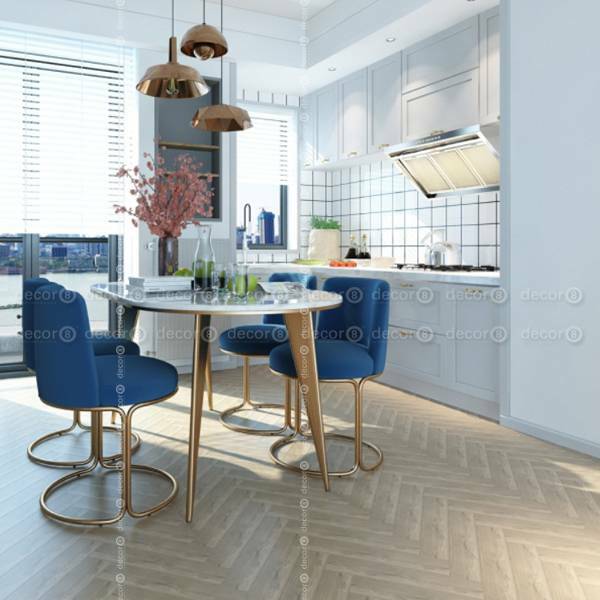 The white and grey pattern marble top is supported by a sturdy steel frame and legs in brass finish. This marble and brass combination is perfect for modern interiors. living rooms, dining rooms, lobbies and hotel interiors. 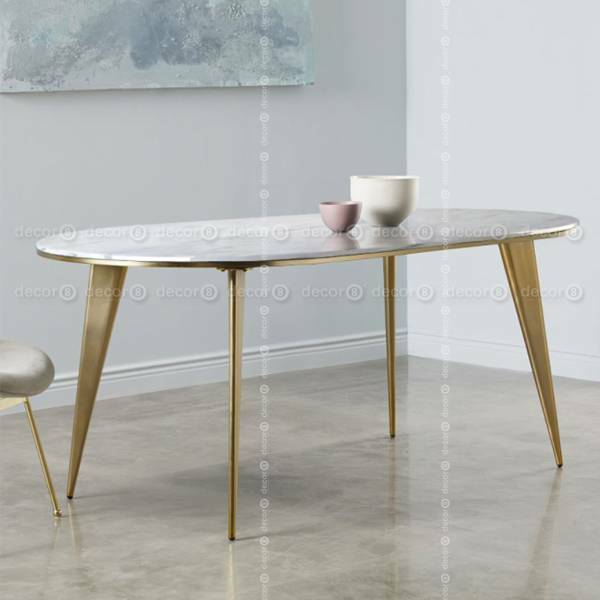 Available in two sizes, the Lana Marble Dining Table is the perfect dining table for contemporary design interior settings.